Media coverage can be one of the most powerful public relations methods to boost your business, build credibility and add massive value. Coverage – the message can be seen by millions of people very quickly. Credibility – a media mention is perceived as an independent third party endorsement. People trust the media and believe stories. 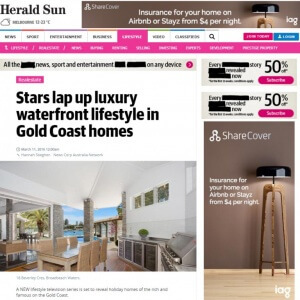 What’s the best media coverage to get on the Gold Coast and beyond? It varies depending to a whole range of factors. Knowing who your audience is and how to reach them is the first step and the outcomes follow. 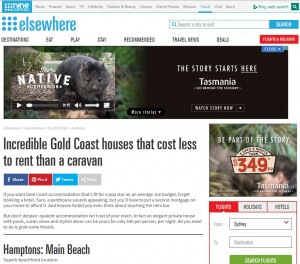 We’ve seen a product generate millions of dollars in sales after a story on a national Channel Nine program, massive brand awareness when mentioned on radio and huge lead generation from a super simple article that was published on the NineMSN travel web site. 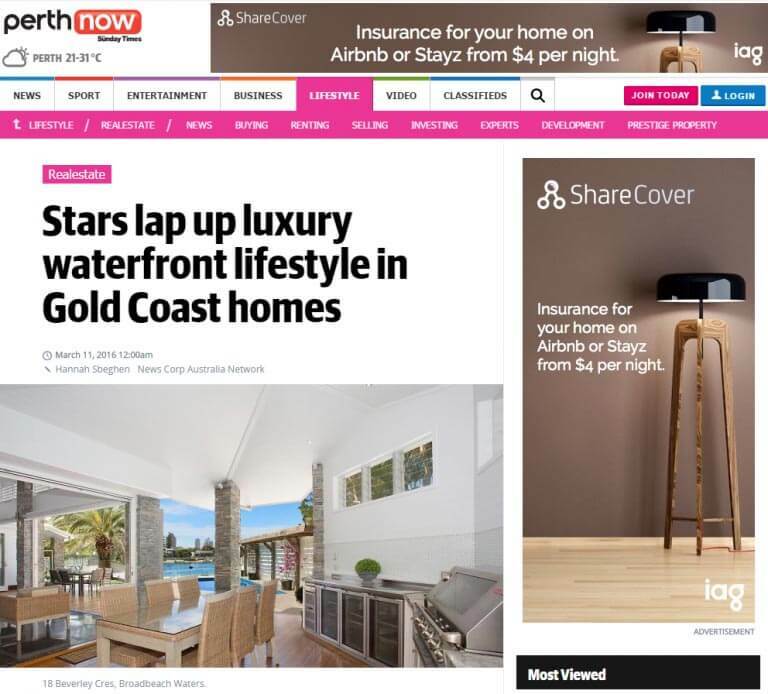 As public relations experts based on the Gold Coast, it simply doesn’t matter where you are – the right story can get national coverage. How do you generate media coverage? It’s a carefully calculated combination of pitching the right story to the right media the right way. 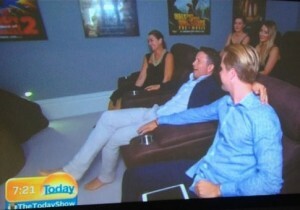 Read how Elite Holiday Homes was featured on the Today Show for national recognition. 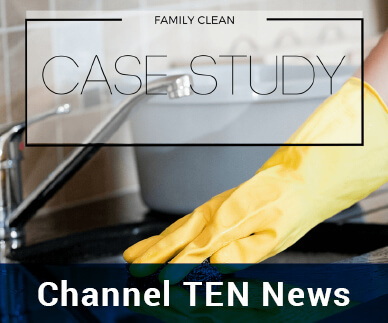 A Brisbane cleaning company generating stories on Channel TEN news – the right story. 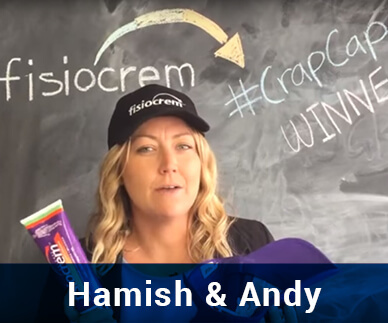 Learn how our client was featured every week on Hamish & Andy for 3 months. 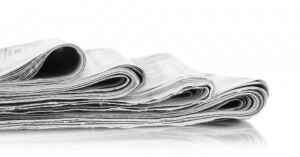 Media coverage can provide the best ROI of practically any marketing tactic. Our client’s results speak for themselves. 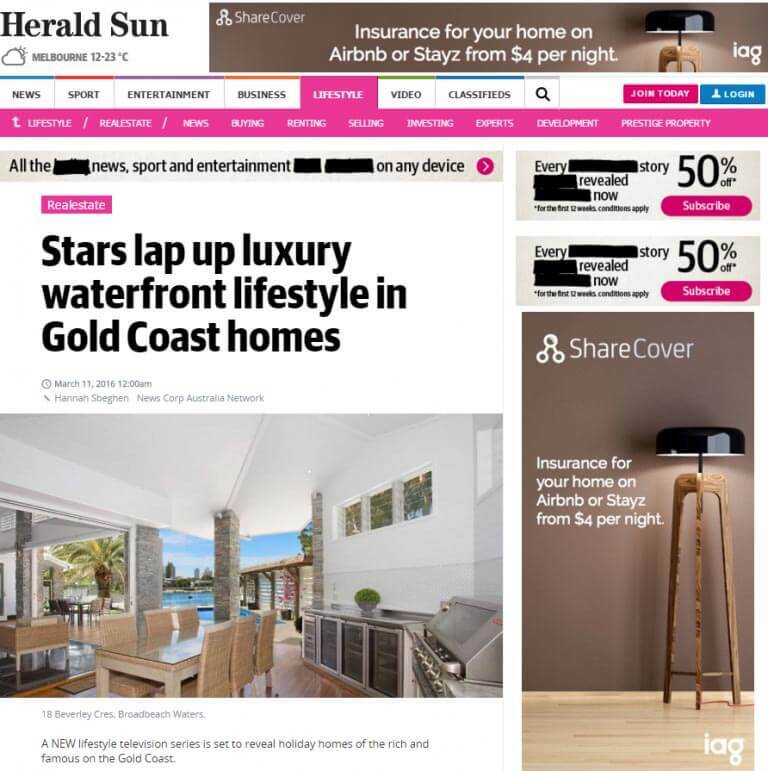 One public relations client generated in excess of $300,000 in leads (with a conversion rate of 50%) after a story appeared on an online news site. We once sold $250,000 of a $50 product in one hour after Channel Nine ran a story on the product and inventor. 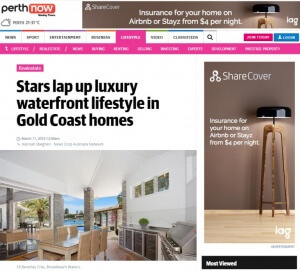 Another Gold Coast based client achieved widespread brand awareness (and increased sales) after Australia’s highest rated radio show featured their product weekly for 3 months – at no cost. Ongoing public perception work can have even longer term effects for your business. If building awareness and authority with your market is critical, a public relations strategy is a must. 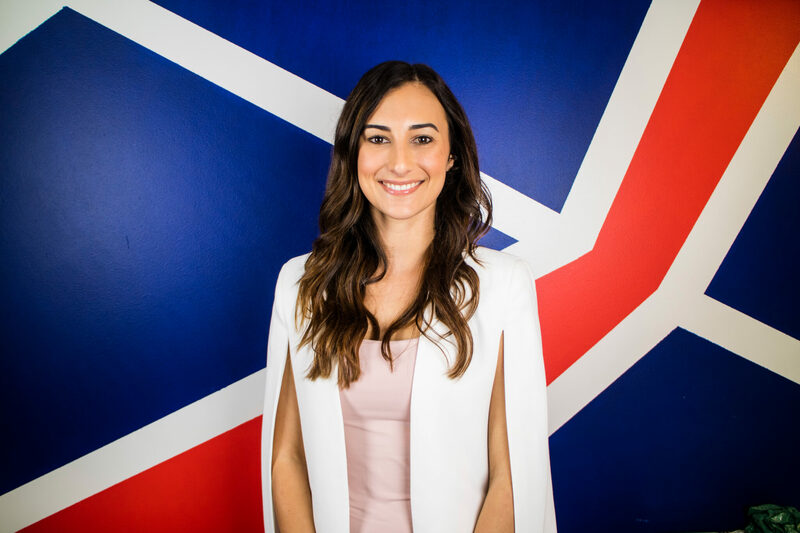 Emma O’Mara, PR Manager, has more than 10 years experience working in newsrooms, on major projects and events, and for large organisations and charities, including CareFlight. 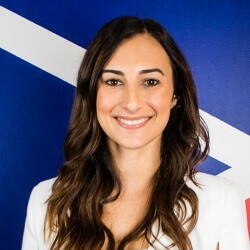 Most recently Emma worked as a Senior Media Advisor on the Gold Coast 2018 Commonwealth Games. The founder of Tailored Media is a master storyteller with over 20 years of industry experience. 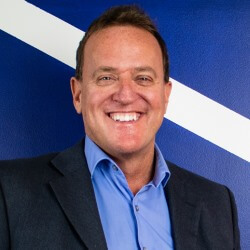 He’s had an ABC Radio show, written one of Australia’s most profitable ever business books, been the Vice President of the Gold Coast Media Club and gained national coverage for many clients. talented team members, it’s experience that makes the difference. marketing experts, designers, copywriters and more. Although public relations (PR) can be incredibly beneficial, it isn’t an easy profession to define. Quite often, everyone has their own definition and they all differ significantly. PR is the planned and sustained effort to establish, maintain and uphold your reputation among the people that matter most to you. Your money can’t buy you a good reputation. It’s something that isn’t formed overnight, but has the potential to be destroyed in an instant. We’re spilling the sprinkles on all things PR and letting you in on a few sweet little secrets. The power of PR can transform your business. Book your PR consultation with us today on 07 5534 1228 or use this form. Public Relations is an important and necessary aspect of all marketing campaigns. 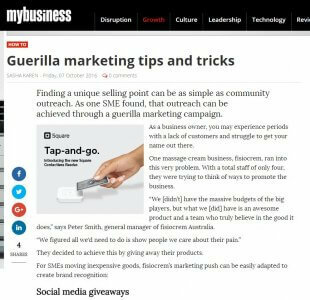 Having stories on your business featured in the media not only give you access to a wider audience, it also grows the trust of your current customers and gives you a reputation for being credible and important. Your audience, no matter who they are, are always engaged with the media in some way and seeing your brand appear in or on a legitimate news source only heightens your reputation and your reach. 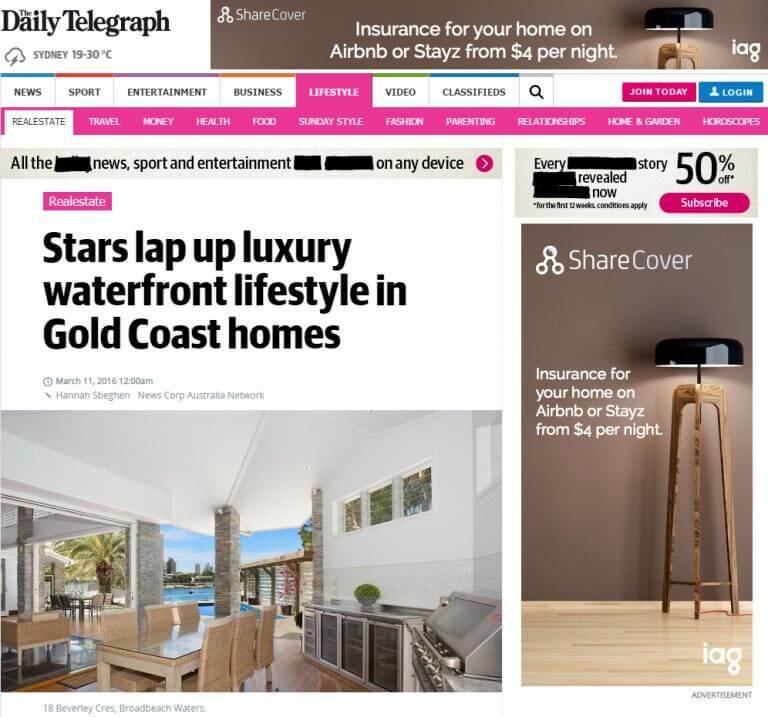 Here at Tailored Media we love getting great coverage for our clients across a range of mediums. We’re all about developing relationships with the media and creating great stories that represent who you are and what your business is about. Over the last few months we’ve secured some excellent coverage on TV and in print. Check it out below. Oculus Group phased out billing by the hour from July this year in favour of upfront quotes. The financial services group located in Tweed Heads received an online-write up, commending them on their “no surprises” approach to invoicing. 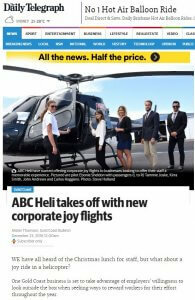 ABC Heli has recently begun offering corporate joy flights to companies looking to offer employees a unique experience that will create both a positive workplace environment and a memorable bonding experience. We recently took on the company’s PR and this was our first pitch. A great result for ABC Heli with some good exposure. Owners of Feather and Dock’s cafe in Palm Beach, Vaughn and Rhiannon recently opened Bstow – a fine dining restaurant in Palm Beach. 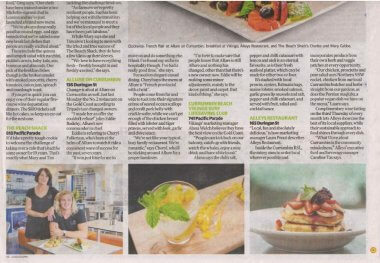 It has proved extremely popular and earned a brilliant review in the Gold Coast Bulletin recently. Head down and try it if you haven’t already, Head Chef Dan uses fresh, local produce and the menu changes often. Local Legends Beef Jerky came about when Managing Director of New World Foods Don Nibet decided to develop a brand based around the concept of legends after being inspired by the Bob Marley album Legend. Food&Beverage Magazine published a story on Local Legends growth over the past four years including grassroots marketing involving local AFL teams. 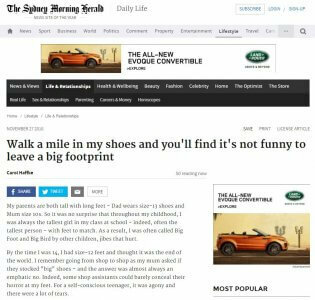 Carol Haffke at The Shoe Garden was featured in both Sunday Life and online in the Sydney Morning Herald – Daily Life over the weekend. Carol wrote a feature piece on her experience with long feet and her reasons for opening the boutique store. 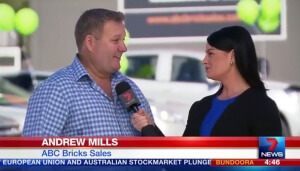 ABC Brick Sales was featured on Ballina’s Far North Coaster magazine in an article on the increasing popularity of bricks and the businesses 23 year history in the region. 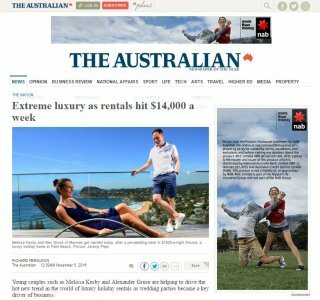 Elite Holiday Homes was recently featured in an article on the increase in Australians choosing to stay in luxury holiday rental properties in national newspaper The Australian. 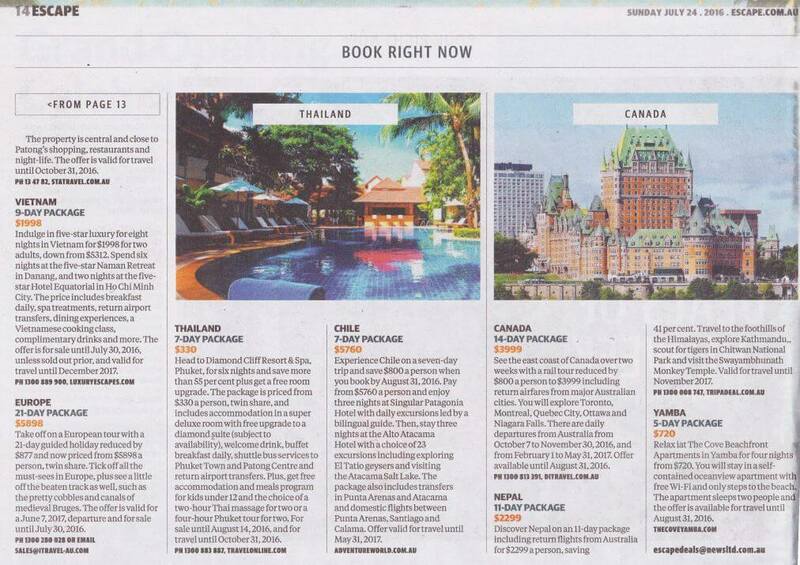 The article mentioned couples and families choosing to stay in the homes for a more personal holiday experience. A great mention for Elite. The lovely Carol Haffke, owner of Brisbane’s niche shoe boutique The Shoe Garden, recently released a book titled In My Shoes: what it’s really like to own a business. Kochie’s Business Builder featured Carol in an article on her top ten women in business to follow on Instagram. 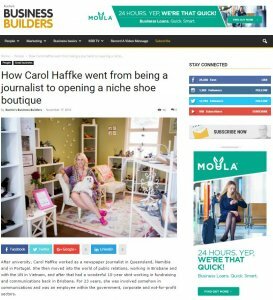 Another article was published on Carol’s business journey from a high-flying Publicist and Journalist to the owner of a shoe shop for women with longer feet. The Q&A style article outlines Carol’s advice, motivation and love of owning a small business. An extract from Carol’s book was published most recently. Through our work with them fisiocrem has activated some unique guerilla-style marketing campaigns using small budgets but rivaling the campaigns of other brands in the industry. 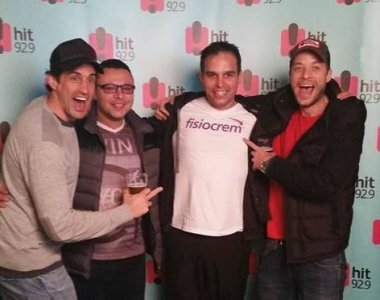 My Business Magazine featured an article on fisiocrem’s campaigns over the last few years including a on-air feud with Hamish and Andy, community outreach and event signage. A great article displaying the benefits of thinking outside the box. 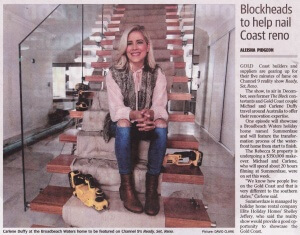 ABC Brick Sales featured in their first piece of interstate coverage recently with an article on the construction boom in both the print and online versions of the Coffs Coast Advocate. The business delivers up and down the east coast from the Sunshine Coast to Coffs Harbour. 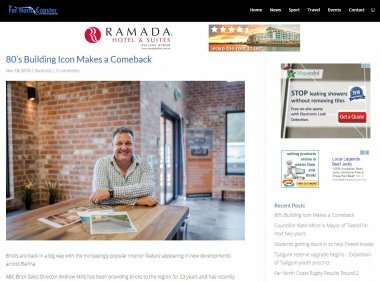 Director Andrew Mills commented on Coffs Harbours’ construction boom and its effect on local businesses and suppliers. New World Foods recently teamed up with Snack Brands Australia as the new distributor of their infamous Local Legends beef jerky. 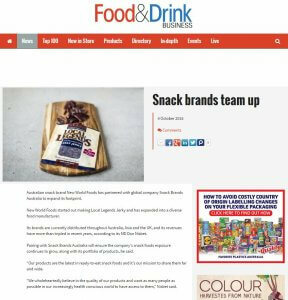 Our first piece of coverage for the brand, New World Foods and Local Legends appeared in Food & Drink Business which is the perfect targeting for their businesses. 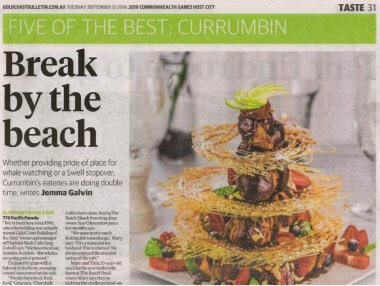 Allure on Currumbin also featured on the Weekend Edition in a feature on the Gold Coast’s best crab and crustacean dishes. 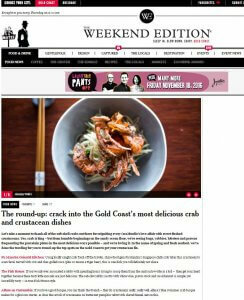 The Weekend Edition is an online weekly magazine showcasing the best the Gold Coast has to offer. This is the first feature in the publication for one of our clients. 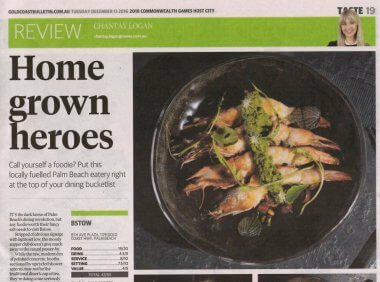 Allure on Currumbin secured a spot in the Bulletin’s Taste section over the weekend in a feature on five of the best Currumbin restaurants. Focused on elegant casual dining, Allure has recently changed hands and we’re excited about the changes afoot. 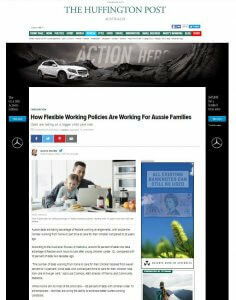 Family Clean featured in an article on flexible working policies for Australian families in The Huffington Post recently. The Brisbane based business was included due to their policies on flexible family working arrangements. Owners Jo and Rowena pride themselves on having built a compassionate working culture. The piece is Family Clean’s first national coverage. Don’t you just hate it when the guys of Australia’s most popular ever radio show talk about you just about every week for about 5 minutes?? Yes, we don’t either! Hamish and Andy referred to the caps of our client fisiocrem countless times, telling their one million plus listeners how terrible the caps are but how brilliant the cream is. We responded in kind with a various jabs at the popular pair including a “Two Can Play That Game” competition where first prize was a fisiocrem cap, second prize a stuffed Cane Toad and third prize a Hamish and Andy DVD! The ‘feud’ culminated in a song about the crap caps and months of mentions on one of the highest rating radio programs in the country. This was the most widespread coverage we’ve ever seen come off and resulted in millions of people hearing about fisiocrem and how beneficial it is as a pain relief cream. Sunkids Children’s Centres opened their 13th centre in south east Queensland in August and their second on Scottsdale Drive in Robina. The centres aim to provide a holistic education a build a community and sense of belonging. 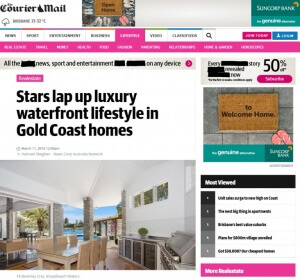 The Gold Coast Bulletin featured the growth of the business and outlined the unique offerings of the centre in their first news feature. Family Clean are passionate about the health of families and in particular, children. 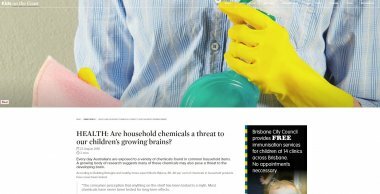 An article on the effect of household chemicals on children was published on Kids and the City outlining the potential effects and Jo and Rowena’s personal experience. A great little win for their business. ABC Brick Sales celebrated their first birthday in the new Arundel premises last week after a year of record expansion. 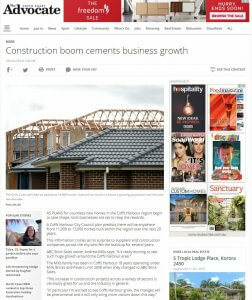 The Gold Coast Bulletin printed an article on the milestone and the country’s current construction boom. 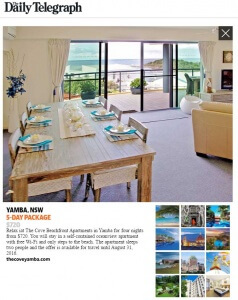 Our Yamba accommodation client The Cove Beachfront Apartments featured in the highest circulating travel publication in Australia – Escape – over the weekend in the deals section with a winter stay package. 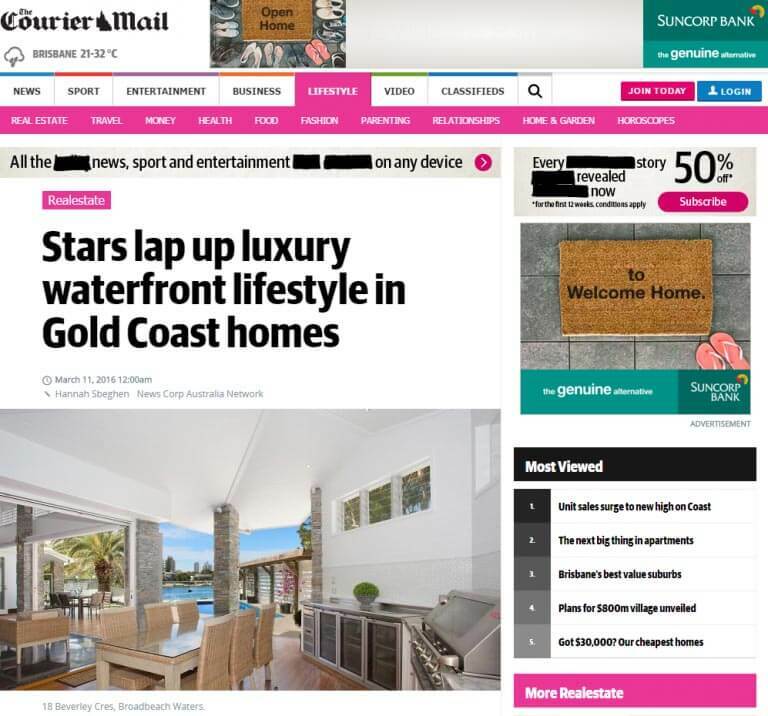 Elite featured in a story on Gold Coast houses that cost less to rent than a caravan park off the back of story idea we went to the Editor. 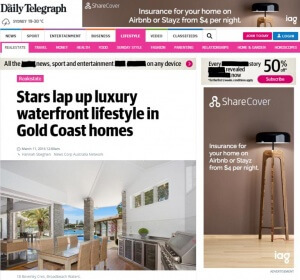 The article resulted in the highest traffic to the website Elite has had since launching and one or two (we ain’t telling you the exact number …..but it was more than 2!) booking enquiries. Special Needs Solutions snagged a feature in the Gold Coast Bulletin for their attempt to get Chris Hemsworth to visit the sick children at Gold Coast University Hospital! Ready Set Reno has been on the Coast throughout July filming the renovation of one of Elite Holiday Homes properties for an upcoming episode. The Gold Coast Bulletin ran an article over the weekend featuring the home and host Carlene Duffy of The Block fame. Andrew Mills (AKA the greatest boss in the world) of ABC Brick Sales recently surprised his staff with brand new cars as a reward for their loyalty and hard work. Channel 7 Gold Coast went down to film the action and the story was aired nationwide. Excellent coverage for Andrew and the team. 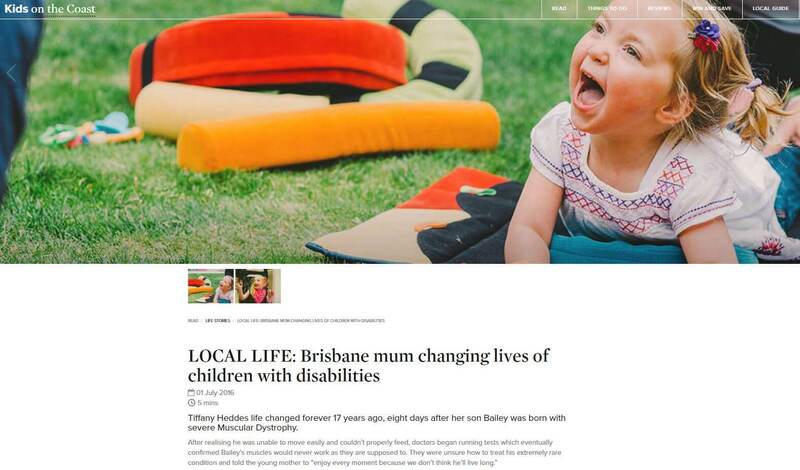 We’ve recently started a PR campaign for Special Needs Solutions – a progressive Brisbane company, led by Tiffany Heddes, specialising in the distribution of paediatric equipment to a wide range of children with disabilities. Our very first pitch secured a spot in Kids on the Coast’s Local Life section with a story on the National Disability Insurance Scheme and how it affects the families Tiffany and her team work with. 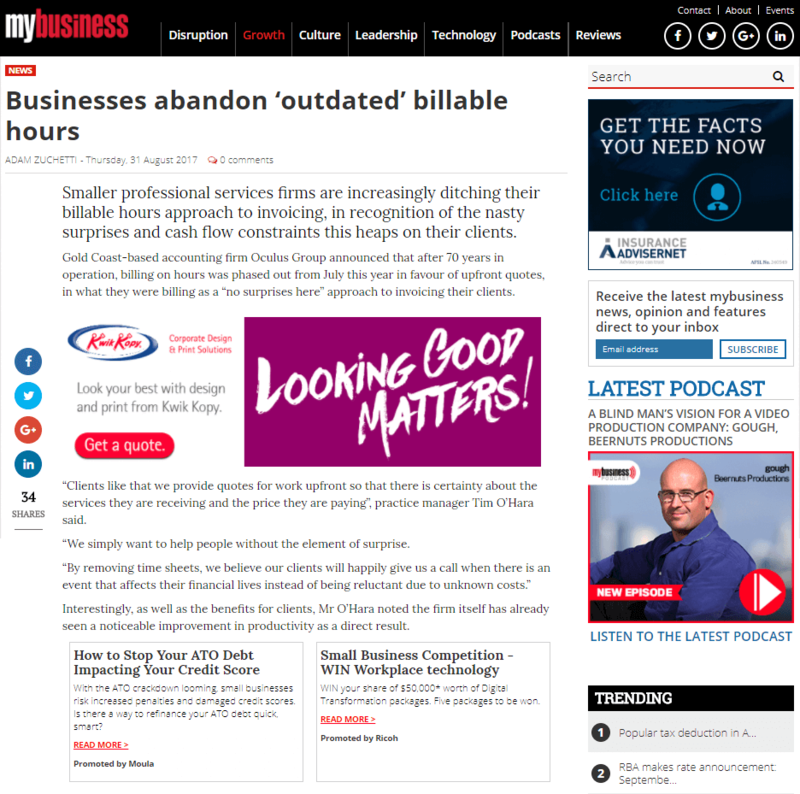 A very exciting and timely feature for the business and for us! 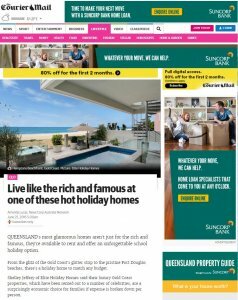 Elite received extensive coverage in a Courier Mail article titled ‘Live like the rich and famous at one of these hot holiday homes‘. Including quotes from owner Shelley and an image and overview of Hamptons Beachfront, the article is a great piece for Elite. 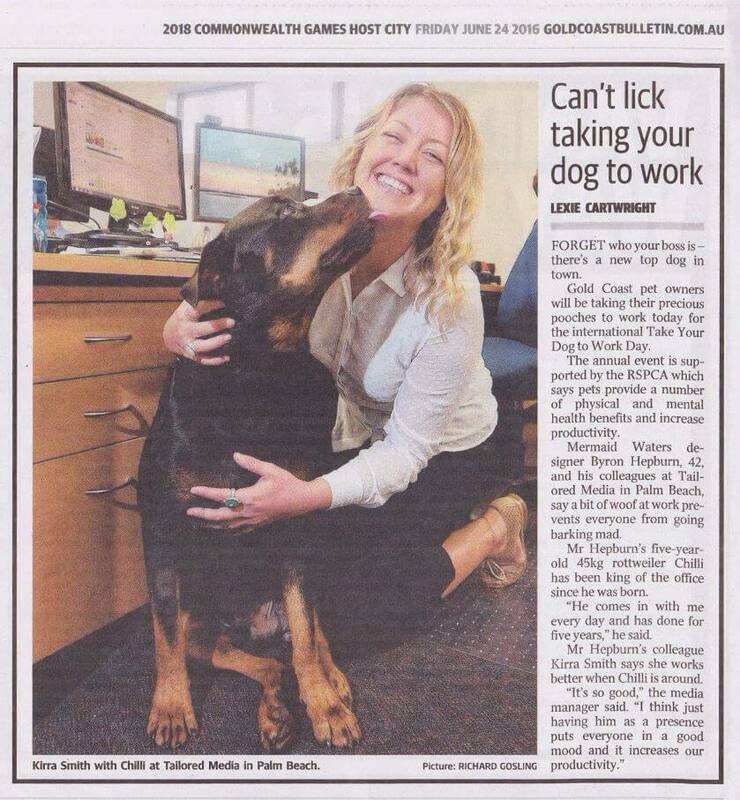 Tailored was featured in the Gold Coast Bulletin’s Take Your Dog to Work Day article. Our favourite staff members Kirra and Chilli represented the team in the article and photo – some great local publicity for us! Elite was again featured in the Courier Mail for a piece on luxury holiday homes. The article included an extensive write up on the business, their Hamptons Beachfront home and a beautiful image to accompany it. It’s so exciting to see Elite being featured across such highly circulating publications. 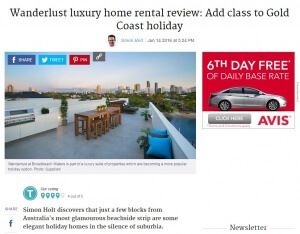 Traveller wrote a shining review on Elite Holiday Homes Broadbeach Waters property Wanderlust. Editor Simon Holt stayed in the waterfront property overnight and had nothing but positive things to say. 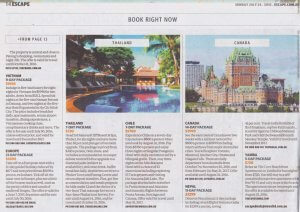 Elite Holiday Homes appeared in The Sunday Mail recently with an exciting spot in the news section. 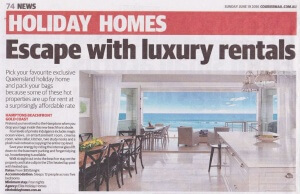 The mention features beachside property Hamptons Beachfront in a full page article on holiday homes. This is a great piece of coverage for Elite in a high circulating publication. 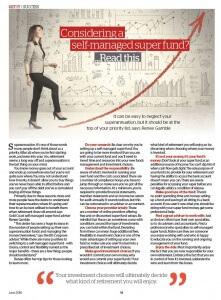 BIS Cosgrove’s Renee Gamble is sharing her expertise on Self Managed Super Funds in the June print issue of Get it Magazine. The full page article features Renee’s advice on what to think about when considering a SMSF and is the perfect coverage for the financial advisors. 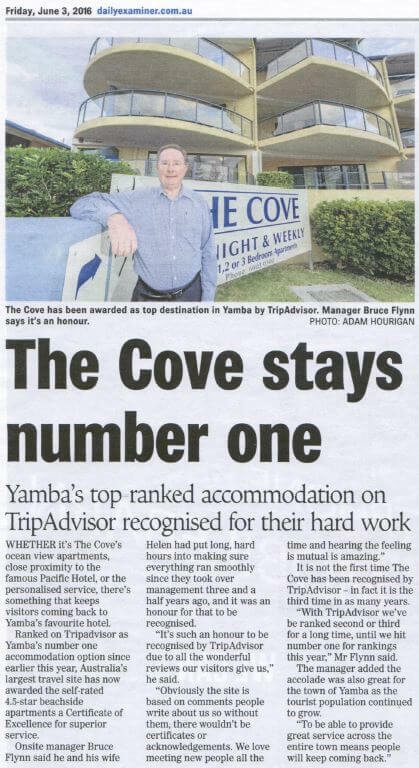 Yamba holiday apartments The Cove has secured some great coverage in local newspaper The Daily Examiner to celebrate their recently awarded Certificate of Excellence for superior service from travel website TripAdvisor. An exciting piece of coverage with many more to come. 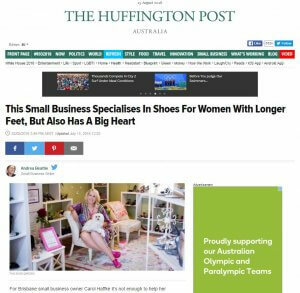 The lovely Carol Haffke and her business The Shoe Garden featured on Australia’s The Huffington Post news site in a brilliant article highlighting Carol’s efforts to raise money for the MicroLoan Foundation Australia. 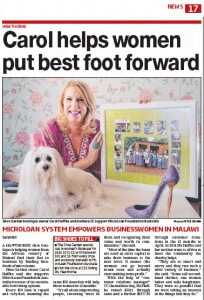 Carol’s business specialises in shoes for women with long feet. Her beautiful boutique has been open in Brisbane for just over four years. 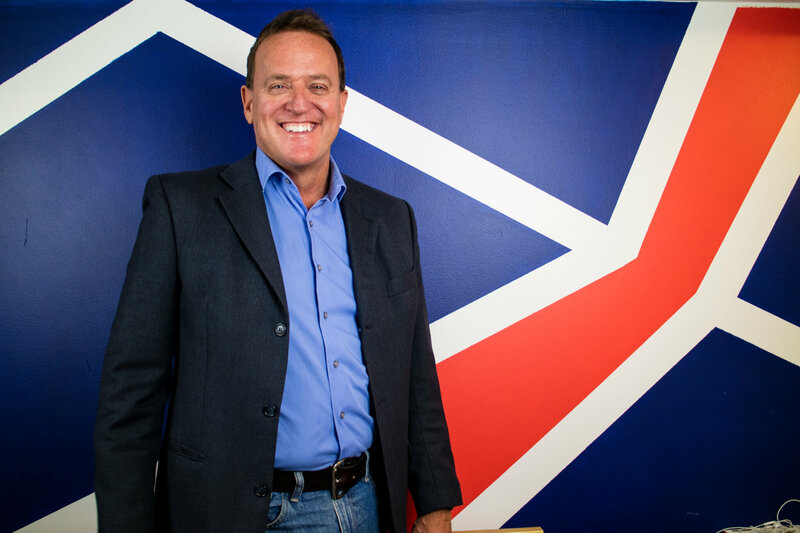 Our CEO was featured on Inside Small Business discussing the real power of social media – one of his many areas of expertise. The real power of social media lies in knowing your business in depth and being willing to share that knowledge with the online world. With millions of Australians connected to one platform or another, social media has rapidly become one of the most powerful tools small businesses can use to grow. Read his lessons learned here. The beautiful Shoe Garden was recently featured in local community newspaper the South East Advertiser! 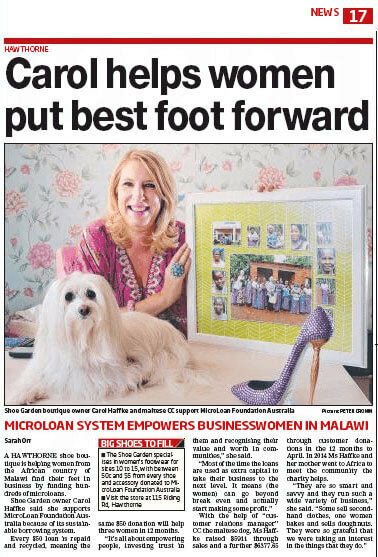 The article discussed Carol’s recent money raising ventures for The Microloans Foundation Australia – she raised over $12k. See the article and lovely image of Carol and CC below. Our clients inspire us every day! Jo and Rowena started Family Clean 11 years ago and have achieved very impressive results. They sat down with Inside Small Business to share some insightful tips which are sure to help anyone considering a start up business. Head to Inside Small Business for all the tips. 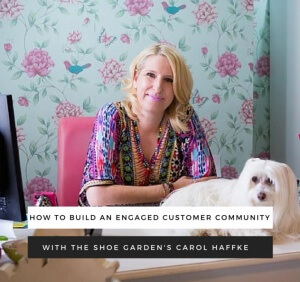 Carol Haffke from The Shoe Garden sat down with Inside Small Business to share her tips on How to Build an Engaged Customer Community. John Gets Fresh Live On National TV! 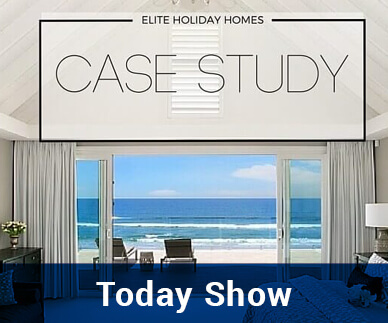 Our client Elite Holiday Homes appeared on the Today Show in November 2015 for four weather crosses in the Hamptons Beachfront home. It was huge coverage for them and us (and quite fun too)! 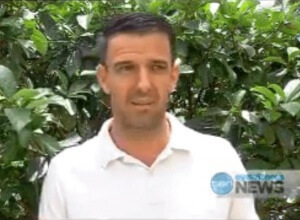 Family Clean is a Brisbane-based, family-owned cleaning company who appeared on the news to talk about their cleaning contractors all hailing from abroad. An excellent first piece if coverage for them. 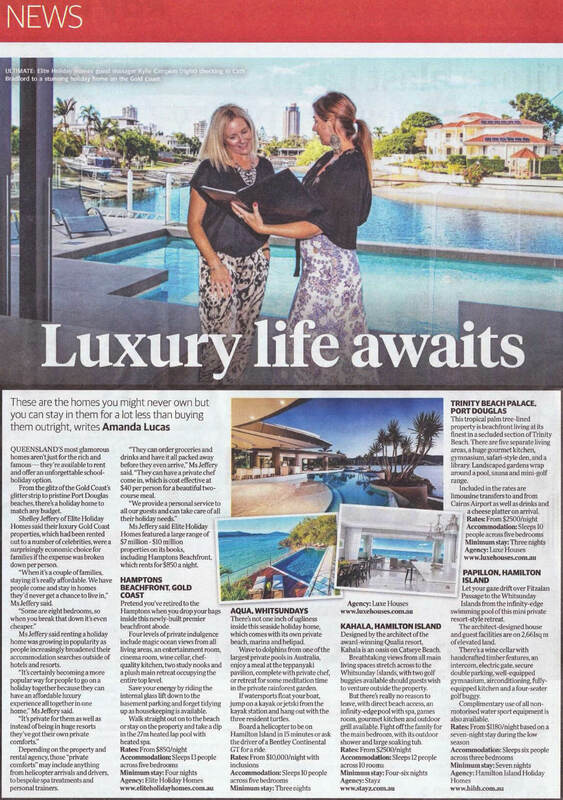 Elite Holiday Homes owners Shelley and Steve Jeffery were featured in the Gold Coast Bulletin’s business pages in December of last year. A good little piece in the local news. 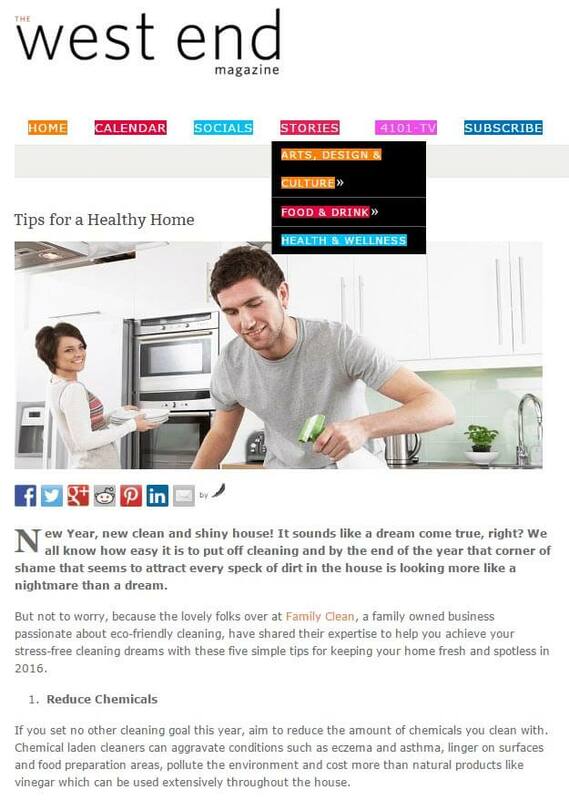 Family Clean scored a story in Westend Magazine online in January discussing how to stay on top of your house cleaning throughout the year. 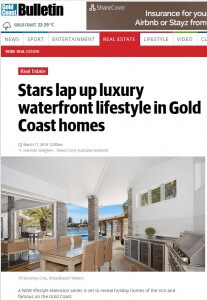 Westend Magazine is the perfect placement as their business operates primarily in Brisbane’s inner city. 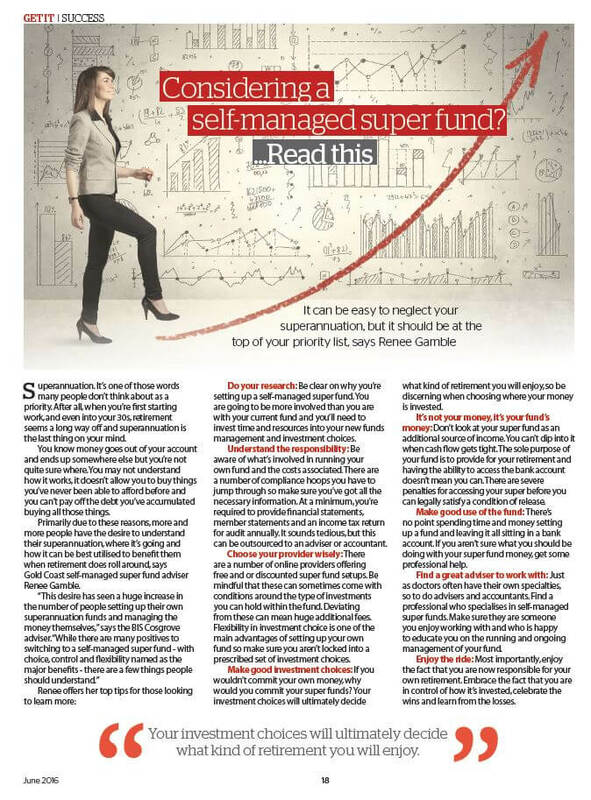 Our client BIS Cosgrove appeared in the Gold Coast Bulletin’s business pages to discuss the rise in women choosing self-managed super funds. 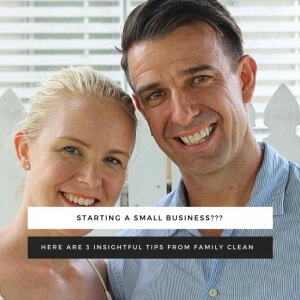 Family Clean appeared in Brisbane’s The Good Guide featuring both on the website and in their newsletter. 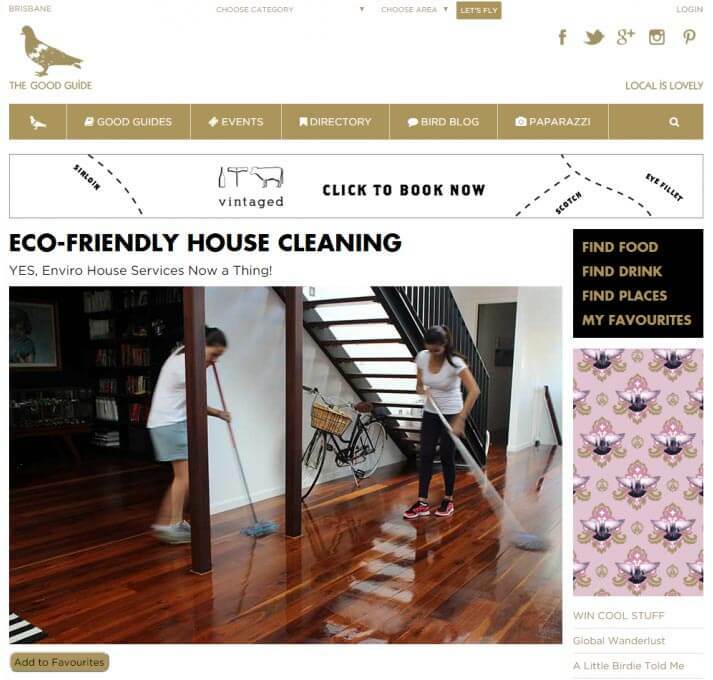 The perfect publication for Family Clean, The Good Guide features only businesses that align with their philosophy. Great news for us and Family Clean. 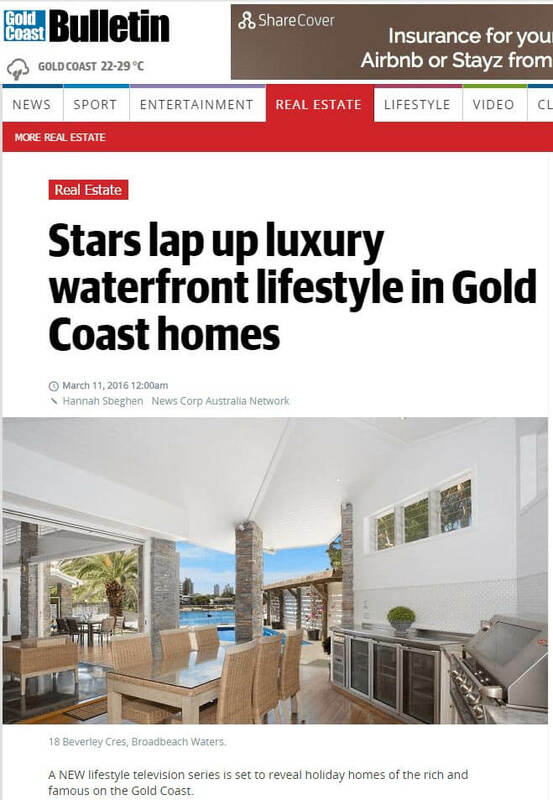 The Gold Coast Bulletin featured a story on Elite Holiday Homes and their segment on television show Dream Home Ideas in early March. 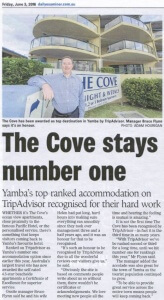 Another great story in our local Gold Coast Bulletin. Elite Holiday Homes on the Gold Coast featured in both the Daily Telegraph and the Courier Mail with the story on their appearance on Dream Home Ideas. Widespread coverage in two of the countries most read publications.